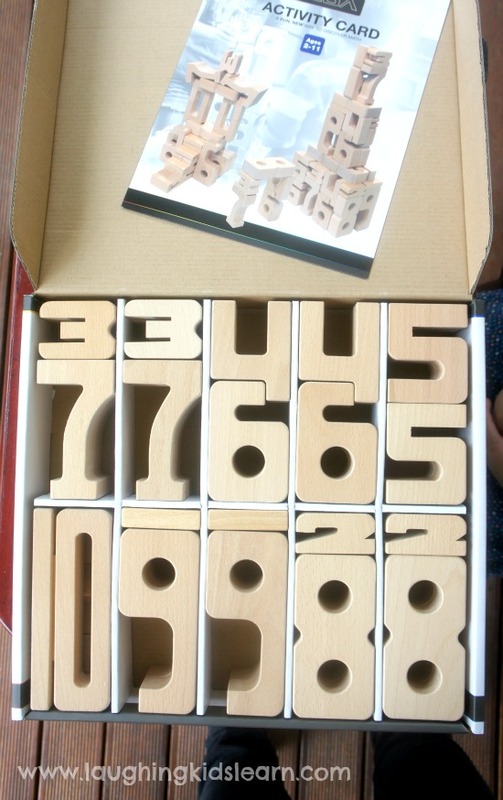 Just when you thought wooden blocks couldn’t get any better, I introduce you to SumBlox wooden number blocks. SumBlox maths teaching tool takes learning maths to a whole new level. They are fun and educational and a great gift idea for kids. I’m also offering a special voucher giveaway to our Laughing Kids Learn readers, so be sure to read on for more details. 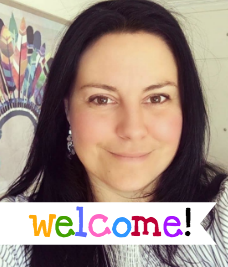 Krystal from Sweet Elephants introduced me to this amazing new product called ‘Sumblox’ about a month ago and already I can see the buzz growing amongst parents and teachers. 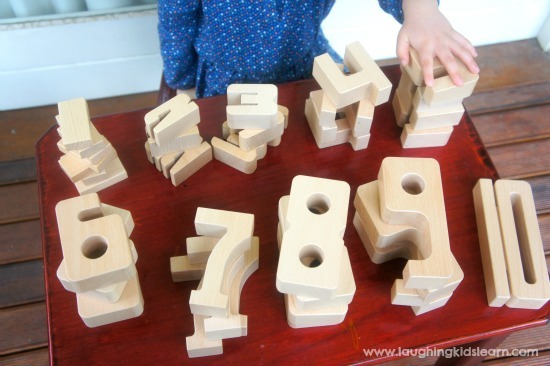 These carefully carved wooden number blocks encourage children to learn through play and develop a greater understanding of a numbers value and form with their specially designed shape. Sumblox are made of a gorgeous solid and smooth wood. Possum (almost 4 years) had a great time playing with these blocks and we both enjoyed feeling the weight and quality of the wood. It wasn’t long before Possum began talking about the features each of the wooden numbers had and pointing out those that had holes, curves and straight edges. These are blocks that are hard to keep your hands off. 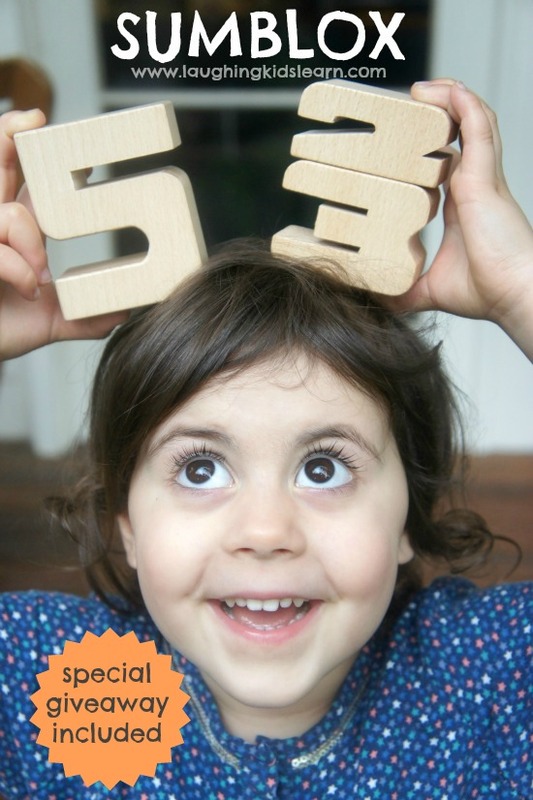 Children will often get confused about which way around a number is. Possum and I played a fun game of picking each of the individual numbers and deciding which ones were around the right way. During our investigation we also discovered that some numbers didn’t change when reversed, like 1 and 8. 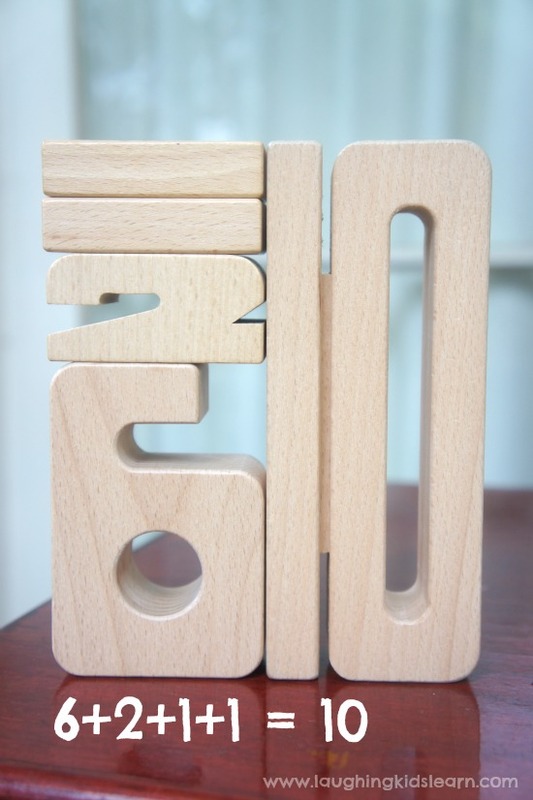 Sumblox give children an opportunity to learn how to order numbers and feel comfortable to make mistakes and corrections. As you will see from the image above, as the numbers increase, the height of the blocks begin increasing too! Such a great and helpful visual for children. 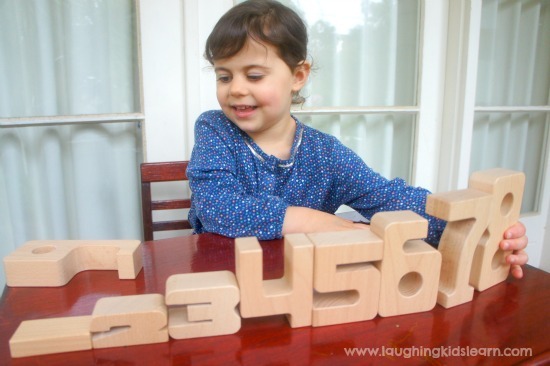 Of course you can also have children create new numbers using the Sumblox blocks. Children can also be challenged further to come up with the number before and after it. 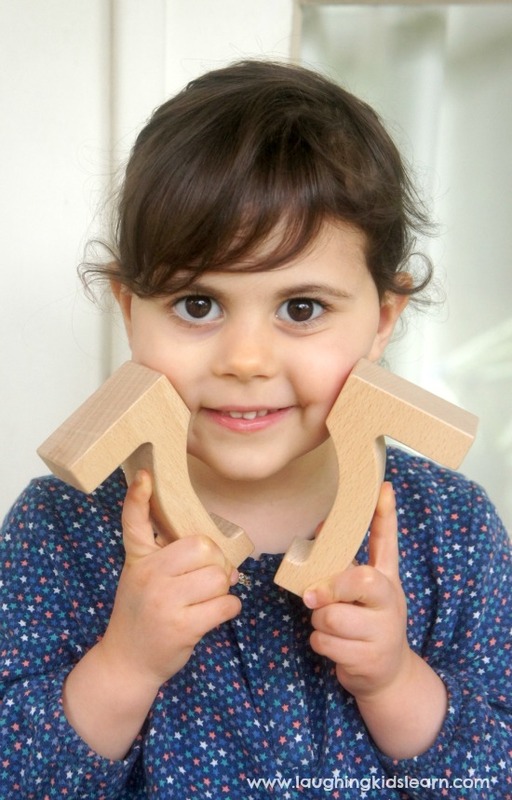 Sumblox helps children to identify numbers and improve their ability to name them too. 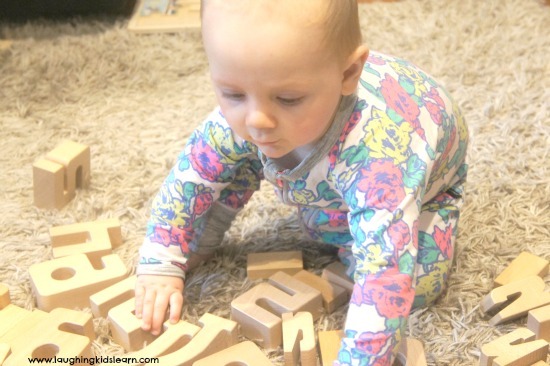 As a fun little activity, children can sort through the blocks and group them together based on value. 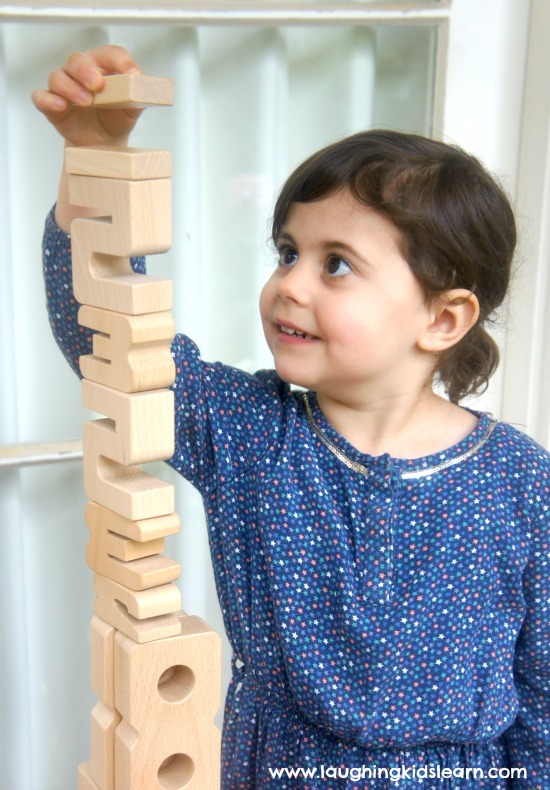 Children can also be challenged further by grouping the blocks according to a given rule, such as making piles of Sumblox that have a total value of 14, for example. Now there is something wonderfully unique about Sumblox that is sure to excite the parent or teacher in you. Sumblox are carefully designed so that when one particular block is placed beside another, their height will match their value! Incredible, right? So as you see above, Possum is holding two number 1s and it is the same height as the crafted number 2! Genius. Combinations of 10 or whatever you like! As you can see from the image above, Sumblox are designed to clearly and visually highlight that when some numbers are combined they can equal the value of other numbers. You can really see why these blocks have become so popular amongst parents and teachers. They are just an amazing teaching tool, especially for the visual learners in us all. It doesn’t matter what numbers you use, they will always represent the value of the number if lines up with. 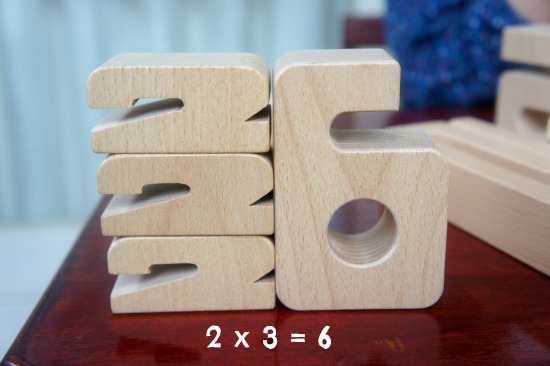 What a great way for children to gain a better understanding of multiplication! 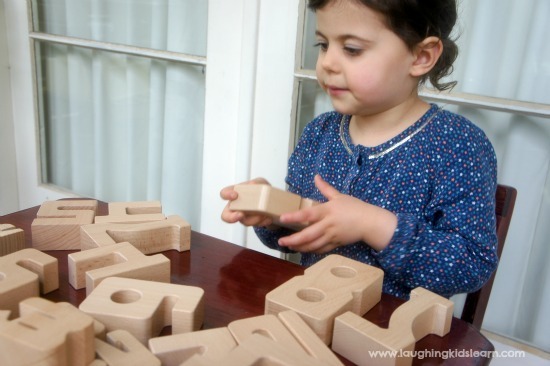 These blocks really do provide children is a great visual and deeper understanding. No rote learning here. 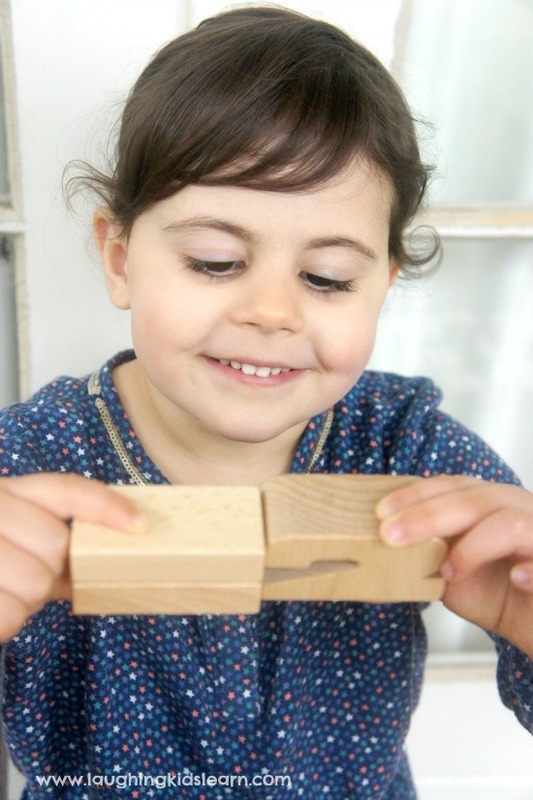 Sumblox are also flexible enough to teach children about fractions too! 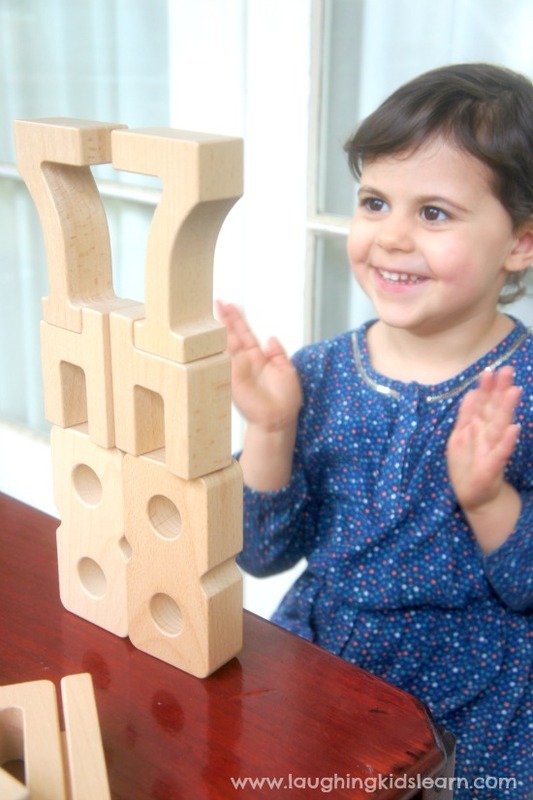 Possum loved using these blocks for building and throughout her playing, the opportunity suddenly came up to discuss basic symmetry. She felt very proud of herself and really wanted to make more towers using more and more symmetry. Give children some blocks and they want to build. Possum couldn’t resist building the tallest tower she could. She even tried to build it as tall as herself! Such an activity as this had us talking and her learning about mathematical terms, such as ‘measure’ and ‘height’. What a great way to extend a child’s vocabulary! Children can also look around their own environment and find objects that match the height of the numbers. Okay, so Possum may have had a fabulous time pretending her number 8 block was a camera, but who wouldn’t? Hahaha I did ask her to see how many numbers she could spot around the house using her new camera. So the box states that they are suitable for children 2 – 11 years, but I’d completely reject that and say these blocks are for all ages, I’m talking 0 – 101 years. Boo (11 months) had so much fun exploring all the different blocks and banging them together. My husband and I also couldnt resist challenging each other to make the tallest tower or a cube that added up to 50. The possibilities for each age to enjoy them is endless. 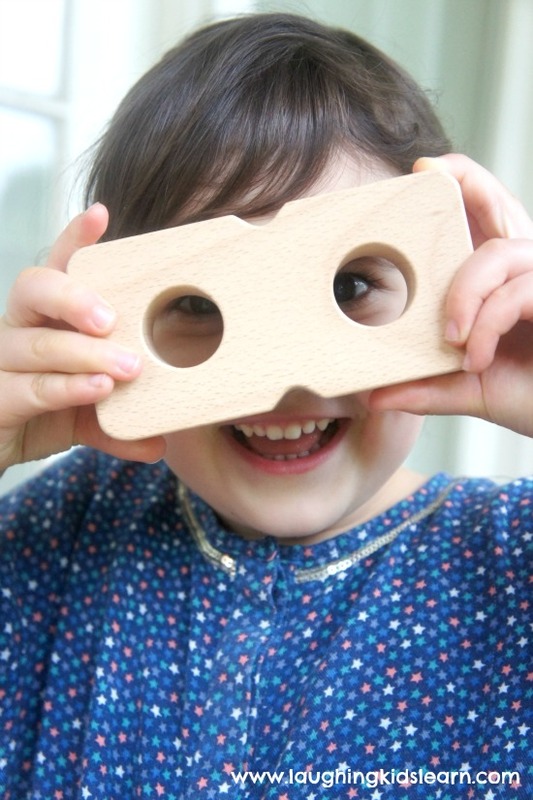 So if you’re looking for a wonderful life-time toy for children I strongly recommend Sumblox. They will certainly last a life time and the learning that your child will achieve from them is endless. We have literally used these blocks everyday since they arrived in our home, hence my very strong recommendation to you. Fortunately for you, Sweet Elephants now stocks them. If you are a teacher, parent, parent who home schools or grandparent consider this product. To celebrate their release, Krystal from Sweet Elephant has also been generous to offer one reader a $50 voucher to use on ANY product in her store. 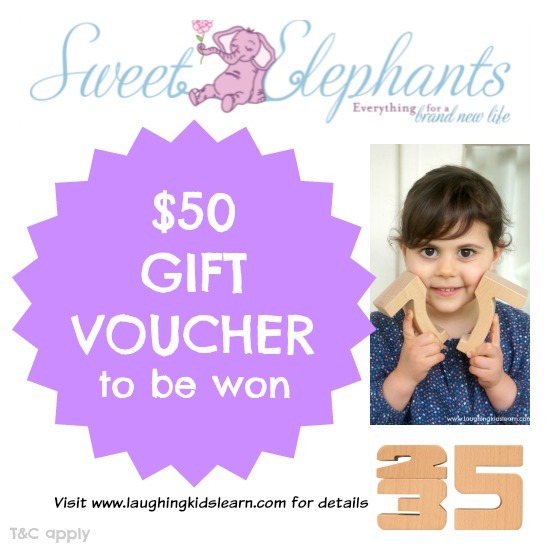 What Sweet Elephant product would your child love to receive and why? – Winners will be contacted via email. If you have not left a valid email address for us to contact you with, someone else will be drawn instead. Winners will need to contact me and provide their postal address within 48 hours or the prize/samples will be reallocated. My son would love to have Easyread Time Teacher Kids Clock because he really struggles to tell time properly. This clock will really make the concept of telling time really easy and fun for him. Thanks Joy. They are so fabulous. Thanks for your entry. I think the Sumbox is an amazing teaching resource and should be in every classroom and children’s toy box. I would love set for my classroom! LOVE sum blox. Seriously, SUCH a good invention. Needs to be a set in every classroom! My maths mad kid would love them! I also love the Tanabata stars – I can imagine so many ways to play with those too, but what I really want is a couple of those giant bean bags!!! Those giant bean bags look so comfy! I love that they can be used both indoors and outdoors. Thanks for your entry Kate! Apple and Mint lunch bags are smashing, has attitude, original, design-driven, functional and environmentally friendly. Taking ordinary to extraordinary. The boys love showing off their bags. With kids at school their lunches need to be cool. Apple and Mint is the one who makes it fun. The colours rule! I have several items from Sweet Elephant already on my Christmas list for my classroom. I am so very keen on getting an Easy Read Clock, the Sumblocks and the upper and lowercase stampers. Loved your post (and the product!). They are seriously cool numbers! I can imagine the kids having lots of fun with them. And so many lovely things at Sweet Elephants!! But I know my kids would love to have their very own mail box. I bet they would want it at the steps to their cubby house and would love getting their own mail there! I LOVE these blocks so DARN much!! I have been coveting them for a little while now. They look incredible. Definitely on the very top of my wish list. My son would love the sumblocks or the kiko kurma wooden cars or the easy read clock. He is starting to want to learn about adding and subtracting and he is always asking what time it is! He has such an inquisitive mind! Hahaha I can imagine! I have no doubt these Sumblox would keep him busy. Oh wow, I’ve never seen anything like Sumblox before – they look amazing!!! 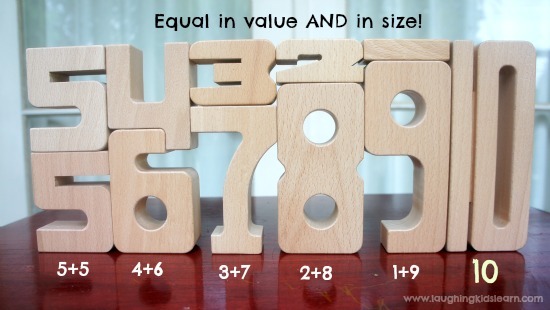 I absolutely LOVE that they are sized to make addition fun! (Hang on just a minute while I go and add SumBlocks to my Christmas list……. OK, back now). Sweet Elephant is such a lovely store. I also really love their rainbow blocks – they look so gorgeous with the light shining through, and I love beautifully-made open-ended materials like this that bring joy into a play space and can be used in so many different ways. My daughter would love the sum blocks. Her grandpa is a retired scientist and my daughter loves to sit with grandpa and learn all sorts of things about numbers, whether it be addition, subtraction, multiplication, the latest he is teaching her is prime numbers! They would get so much enjoyment from sumblocks. Without a doubt sumblox! These would make an incredible addition (pun not intended!)! to our Homeschooling manipulatives! Miranda you are absolutely right. As soon as I saw them I knew they would be great for children who are homeschooled. Thank you so kindly for your entry into the giveaway. I love the Sumblox! As a teacher I see their educational value, but the best feature is their long life. My grandson is only 1 and I can see him using them as stacking blocks, counting blocks, addition practice blocks. Their GREATEST VALUE is their usefulness over a child’s life. The quality of your products mean they will last through childhood and be lovingly past on to his own children! The children at work would absolutely love the story stones. I can see them now, telling their own stories to their friends and then mixing them up again and retelling another story. Even using them at group time with the educator telling a story to the children. The possibilities are endless. My special needs daughter loves bubbles. She will go crazy for the Mltherscorn bubbles! How beautiful. Yes, those bubbles are so great! These are seriously incredible! How clever!!! I love Sweet Elephants. My kids have a couple balloon balls and would love a few more!